DD-WRT Forum :: View topic - The CATFISH thread - external antenna choice and use. The CATFISH thread - external antenna choice and use. Location: Wherever the wind blows. Posted: Wed Dec 10, 2008 12:36 Post subject: The CATFISH thread - external antenna choice and use. Based on Donny's Peacock, I propose the CATFISH thread.. Try to understand gain, milliwats, dbi, dbd etc etc.. I want to start this thread, not Broadcomm specific, but as a way for folks to learn about external antennas, and how they can help in a point to point situation. Basically, a theoretical antenna transmits all around, and receives all around..
You only have so much pressure to the sprinkler.. if you focus it in one direction, you have more pressure (in one direction)..
that is a reasonable analogy of gain. A good antenna works both on transmit, AND receive. Increasing tx power on the router, ap, device, or whatever - works on transmit, but NOT on receive.. so you may get the signal OUT more, but the input is crippled and not in line with the increased output. With a good antenna, BOTH the output and input are increased..
For every doubling of tx power in mW, we increase the power by apx 3dB.. for every increase of 3dB, we increase the effective output power in mw by a factor of 2 times the original power. ie, 20 mW output power, to a 3dBi antenna, = 40 mW effective radiated power (in simplistic terms) , AND if using a good antenna, the receive gain is more or less the same. a weak signal is 'amplified' by the antenna to give a stronger signal to the wifi receiver. (Apx double what we would have without it. Adding tx power, WITHOUT an increase in receive signal strength does not accomplish much. Power hacks are mostly non productive - apart from causing overheat, non linearity (crappy signal) etc. Lots of router / AP's have two antenni, they are used in receive mode for selecting the best signal (Diversity - again, in simple terms). IF you use an external antenna, turn this off.. use one antenna (the one with the external added) for tx and rx.. the other is unused. Diversity can help in situations with reflected signals, as an omidirection antenna has to put up with. but, becuase we are now, presumably, using directional antennas (point to point) not needed. Hope it helps to at least grasp the basics. Posted: Thu Dec 11, 2008 1:52 Post subject: Re: The CATFISH thread - external antenna choice and use. I would add, if you choose to use an amplifier, make sure its a bidirectional amp, with receive boost as well. Good point JN, thanks for the input. So, if your new amp wants no more than 15 dBm, you would have to REDUCE the power output of your wrt54g which is set at 70mW (15dBm is apx 30mW. Failing to do this will possibly damage the amp, WILL lead to overdriving the amp giving a poor quality signal (Errors) and WILL cause interference to other users. There are legal limits as to the erp (Effective radiated power) for each country, it is worth checking ! . Even adding a high gain rubber duck type antenna may well cause you to break the law in your area. Check and use with care. For any add on external antenni to a non removable antenna unit, I think the best advise is to buy a pigtail connector with the item you want, some firms specialise and make them up for you, buy one with both ends the same (revsma, revtnc or ntype) - ask to have one made -this presumes you have no access to crimpers and no old router to pinch parts from. Cut the pig tail in half, then use these as the connectors. Because I install LOTS of wifi units for yachties.. I bought a crimper set (Around 40 USD) and the appropriate crimp connectors and cable. RG316 for most internal add ons..
ps, did I ask how your toe is ?? What this thread needs now is a definitive guide to all the advanced wireless settings, in great detail as appertains to an external connector, I have touched on it, but it needs expanding ? any volunteers ? It BURNS...IT BURNS. Oh. Wait. No..that's from the holy water. But the blistering has almost started to go down. wow, great thread, donny has not mentioned the peacock once here yet. However I do have a serious question on this subject. I have an old signal booster that I used when I had a wrt54B unit. it was made by linksys, designed to work with the linksys wrt54b unit, I know nothing about electronics but would it also work with my 'G' device signals since the connections are nothing more than inserting to the antenia jacks ? DD-WRT usually the most current BS builds and less frequently lately EKO builds(because of new BS rules that eliminated EKO builds I used). answer in 802.11G, is almost certainly NO, unfortunately. However, it will work at B if you set the router to B only output. For most uses it will still offer a good dl speed. but the b and g specs are differnt for the amp. Here's a thread I submitted about easy antenna replacement on the WNR834B v2 router a few months ago. Here's a link to pictures of the finished project. Patch antennas for pointing at a neighboring antenna through a window. Hangs flat against the glass. Patch antenna for Velcro-ing to the lid of a laptop. Yagi for pointing downwind in high-wind areas. Dish for crosswind in high-wind areas. Coaxial colinear for homemade high gain omnis. Slotted waveguide if you have a milling machine you can't find a use for. High gain omnis achieve their gain by flattening the radiation pattern. More out = less up and down. You can be standing under a 15 dB gain omni 25 feet up and not see it with a laptop. Point this out to people who whine about cellphone towers in the neighborhood. Large diameter active elements have a wider low-SWR bandwidth. If you want to make a quality Yagi, use copper pipe, not copper wire. Directional antennas with similar gain should have similar beamwidth. Yagi, panel, should be very similar. You have to double the length of a yagi to get double the gain. 15 dB is the practical limit. this post it very helpful, however i would like clarification on one thing. That being said, you likely don't need an amp. 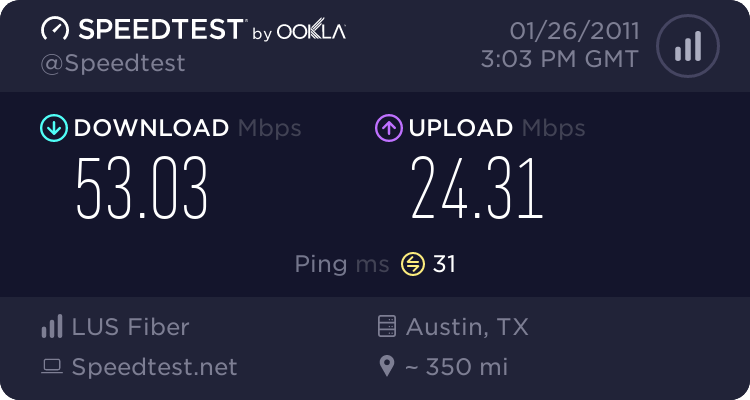 I have seen some posts that suggest problems (lousy throughput?) with one of the WL500 routers btw. WL520 seems good. 1) The effects of the amplifier and the antenna would add up at the far end. 2) The antenna would provide a benefit at the amplifier end, but not the amplifier. amplifiers improve outbound signals. antennas are always the first, best solution to signal strength problems. solve RF problems with antennas to the extent possible, and amplifiers to the extent necessary. That is called a "Best Practice" in engineering. any router will do, the WL500 was on sale ($89 canadian) so that is why i liked it. Also it was white and that will look good on the project. What router would you suggest? so your saying an amplifier will help increase the range when i am sending out a signal, but since the limiting factor in my situation is the free crappy wifi i would receive no gain from it due to it's terrible job of sending me a signal. However if i were able to add a booster to the free crappy wifi then i would receive added range, because there ability to send me signals would increase.